Metropolitan Symphony Steel Orchestra (MSSO), and pan player (cello pans), joins the OMS faculty in February 1999. A practicing nurse, she is Masters graduate of the University of Maryland in Nursing Administration. Mrs. Caesar has played pans since 1992, and has served as the Associate Director since 1993. She has performed with the MSSO at the Kennedy Center, at the National Cathedral, and on Capital Hill (Washington, D. C.) for many government and federal agencies, in many states along the East Coast of the USA, in Paris, and on the Radio and at the Doelen Center in Rotterdam, as well as at the 1996 General Conference Sessions in Utrecht, Holland. 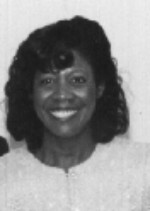 Mrs. Caesar has received Certificates 5-8 in Piano Performance for the Associated Board of the Royal School of Music, and studied violin with Vernon Roach and was a member of the Roach Orchestra for 5 years during high school and junior college in Trinidad. For many years, she served as the director of the award winning Metropolitan Pathfinder and the Maracas Pathfinder Clubs (the Boys and Girls Scout clubs of the SDA Church). She conducts the Metropolitan Ladies Chorale (of Metropolitan Seventh-day Adventist Church) in a Maryland suburb, and arranges much of the music for the MSSO. All steel drum purchases and sales are made through Ottley Music.